Campeggio Itxaspe si trova a Itziar, Guipúzcoa. Il campeggio a terrazze dispone di piazzole delimitate, sia ombreggiate che, senza ombra e piazzole poco ombreggiate. È possibile affittare appartamenti e bungalow. Il campeggio dispone di un parco giochi e di un campo sportivo. Ogni anno un ispettore visita il Campeggio Itxaspe, controllando oltre 200 tra attrezzature e altri punti di interesse del campeggio. L'ispettore è un dipendente ACSI e non lavora per il campeggio. A camp site with wonderful reviews and super friendly staff who gave us lots of good advice. The showers etc were great and the pool was particularly impressive. Our only real criticism is that the pitch size was so small- barely room for a caravan and a car. We therefore did not put up the awning. The site is not the easiest to get to as it is situated up a hill but when you get there the views can be wonderful. Some of the pitches are a bit tight as it is on the side of a hill and there is no line of demarcation between pitches - not a problem though. Most pitches have decent shade. Free wifi is available at reception but covers some pitches as well. Toilets are quite new and very clean with plenty of hot water. There is a decent on site shop - needed as the site is not near other facilities. Café/bar has simple food - but great views. We are definitely going here again. Camping Itxaspe is a superb campsite situated in gorgeous countryside. All the facilities are very clean and well equipped. We were lucky enough to get a pitch directly overlooking the amazing views. Some of these may be too small for really large units. There are other pitches which can cope with bigger units. There are no demarcations between pitches which may not suit some but the openness of the site adds to its attractiveness and welcoming feel. The camp shop is well stocked and we liked buying fresh croissants for breakfast. Situated in great walking country and very close to both the Camino De Santiago and the coastal footpath. One of the best campsites I have stayed in. Picture perfect views, very friendly service, clean toilets, calm. Great for nature lovers. Showers and toilets very clean great amount of hot water. Great views. Great bar next door to camp. Amazing walks with wonderful views. Needed to be fit. Would go again to the camp site again. The pool was not up and running. Volete prenotare il Campeggio Itxaspe o oppure saperne di più? Potete farlo usando i seguenti dati. N634 Zumaia direz. Deba. Al km 37,5 campeggio segnalato a destra. Dalla A8 uscita 54, poi verso Zumaia, a sinistra dopo 100m, ben segnalato. 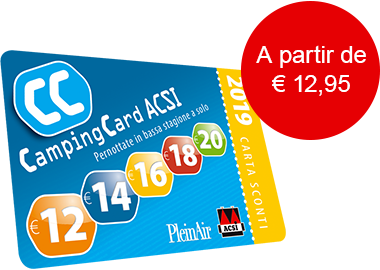 ACSI Eurocampings invia la tua richiesta di informazioni al "Campeggio Itxaspe".